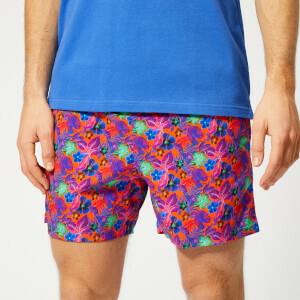 Vilebrequin ‘Moorise Queen’ swim shorts with a bold print that blends concert tickets for the iconic rock band. Slightly shorter than Vilbrequin’s ‘Moorea’ shorts, the swim shorts are crafted from fast drying and stretchy fabric. 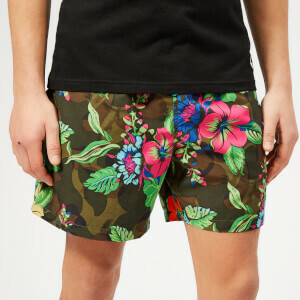 The patterned shorts are designed with two side pockets and a Velcro fastened back pocket, which has been cut out and applied by hand to perfectly match the pattern.